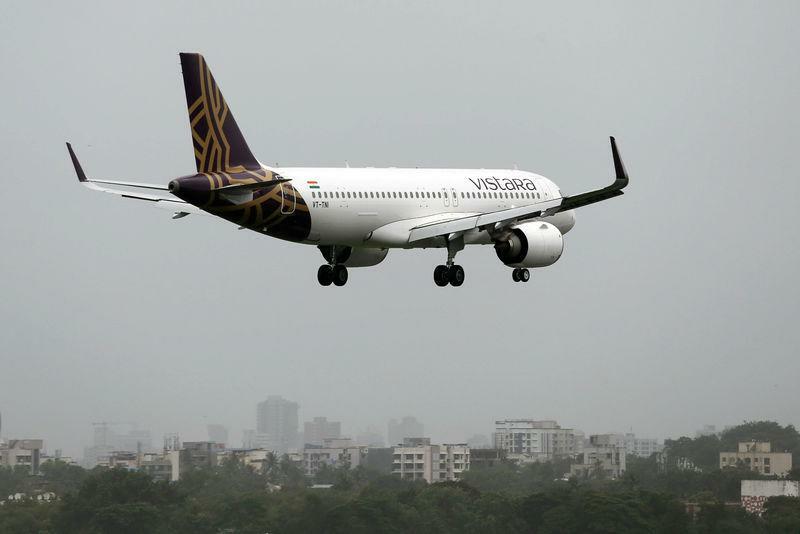 NEW DELHI (Reuters) - In the highly price-sensitive Indian aviation market, Vistara, a full-service carrier backed by local conglomerate Tata Sons and Singapore Airlines Ltd (SIAL.SI), is betting it can convince passengers to buy higher fares in return for superior service. "That is a paradox," Association of Asia Pacific Airlines Director-General Andrew Herdman said of India. "It has a lot of exciting potential but from a business point of view, very challenging." Vistara, which started flying in 2015 and now has 22 Airbus SE (AIR.PA) A320 narrowbody jets and a 4 percent domestic market share, has struggled financially as it scales up. It narrowed its losses to $58.9 million in the financial year ended March 31 from $70.9 million a year earlier, according to accounts filed with the corporate regulator this month, but it faces tougher market conditions this year, with consulting firm CAPA India estimating it could lose $150-200 million. A major strategy shift is to own some of its fleet rather than leasing all of it. Vistara will own 19 jets worth a combined $3.1 billion ordered from Boeing Co (BA.N) and Airbus earlier this year, and lease another 37, underscoring its growth plans and strong financial support from its top shareholders. The Indian market is dominated by low-cost carriers like Interglobe Aviation Ltd's (INGL.NS) IndiGo and SpiceJet Ltd (SPJT.BO), and selling tickets at a premium is particularly difficult in less wealthy second-tier and third-tier cities where Indian regulators require carriers to place 10 percent of their capacity.